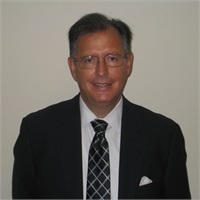 Mark V. Biagini is the co-founder of Biagini Grassi Advisory Group LLC and a financial advisor with over 20 years of experience. Specializing in financial planning and protection planning, he frequently works with clients approaching retirement who are concerned with creating a consistent income. Mark began his career as a Euro Dollar trader with International Westminster Bank. For more than a decade, he worked as a trader focusing on Forward Foreign Currencies, working both with Bank of America International New York as Assistant Vice President and as Chief of Forward Foreign Currencies with Standard Chartered Bank. After spending 16 years as a trader, he transitioned into financial planning, working as a financial advisor with American Express. During his 12 years with American Express, he was recognized for his production and quality of advice, receiving Most Valuable Advisor (1995), Master Advisor (1996 and 1997), and President’s Recognition Award for Quality of Advice (1998 and 2002), among other awards. Following his years at American Express, he co-founded Biagini Grassi Advisory Group LLC with Anthony Grassi, Jr.
Mark holds securities licenses 7, 73, and 65, and is a CERTIFIED FINANCIAL PLANNER™ professional and a Certified Wealth Preservation Planner. He received his Bachelor of Science in Politics and Economics from the University of Bradford, England. Born and raised in Ayr, Scotland, Mark has lived in Staten Island for the past 30 years. Outside of the office, he spends his free time with his wife and daughter and enjoys regular exercise, learning new concepts, baseball and is an avid soccer fan.